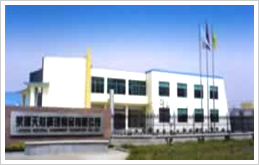 LAIYANG NATURAL CONDIMENT FOODSTUFF CO.,LTD. LAIYANG NATURAL CONDIMENT FOODSTUFF CO.,LTD. 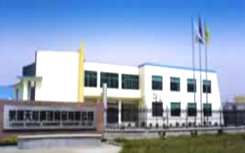 Yantai Shengheng Food Co.,Ltd. of God are the Sino-Japanese joint venture founded in 1995, with China's leading food processing equipment and technology, have a high capacity and high-quality product development, management and technical personnel, products to frozen vegetables, boiled vegetables, frozen prepared foods, fried products, mainly exported to Japan, Southeast Asia, Europe and the United States and other countries and regions, and some products in the domestic sales, the company owns 1,500 acres of agricultural cultivation base, the company advanced pesticide residues and other chemical substances and microbiological testing equipment, processed and exported in more than 5000 tons of various types of food, including edible fungi and wild vegetable products are very popular in the Japanese market. By the HACCP, ISO22000 certification and the U.S. FDA certification, with advanced micro-organisms, such as pesticide residues and chemical detection equipment. Product quality over the years has been recognized by customers both at home and abroad.